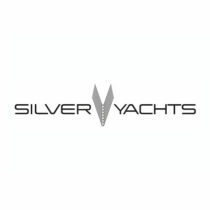 SILVER YACHTS is located in Western Australia and builds high-performance, custom superyachts from 229′ to 328′ (73m to 100m). From design sketches to complete construction, the superyacht builder is founded on a breakthrough hull that focuses on cutting-edge performance. The in-house design team and naval architects work with a customized finite element analysis (FEA) system for optimum performance, keeping weight low while maximizing structural integrity. The shipyard has also partnered with world-renowned naval architect Espen Oino on craft design services. World-class new yacht construction by Silver Yachts includes the 252′ (77m) SILVER FAST, the 252′ (77m) SMERALDA, the 239′ (73m) RABDAN and more. As a premier luxury yacht builder, Silver Yachts works with the world’s finest interior and exterior designers including Danielo Silverstrin, Vain Interiors and others, to create a yacht with thoughtful precision and detail to the client’s liking. Browse the entire fleet of Silver yachts for sale or find a Silver yacht for charter below. For more information about Silver yachts for sale, along with a full market analysis, and your own custom tailored yacht report, or to book a Silver yacht for charter, simply contact the Merle Wood & Associates luxury yacht brokerage firm.